Our responsibility and commitment to our customers has always been to provide businesses with products that use the latest innovations in technology, and are designed to be comfortable to use and wear, at a surprisingly competitive price. We offer an exceptional and stylish range of products including business telephones and a wide selection of telephone headsets, including corded, wireless, USB and Bluetooth headset ranges. Our popular accessories line includes buddy training leads, travel packs, telepads, switches, handset lifters, and multi-purpose adaptors, suitable for all businesses large or small. Designed in the UK to an extremely high specification, all Agent products are highly compatible with a majority of existing equipment from other suppliers, and are supplied at brand beating prices to offer you exceptional value for money. We are so confident in the performance of our products, that we offer a 2-year warranty on our entire headset range, and a 10-year warranty on all our business phones. Agent offers you the truly affordable alternative to products from major brands, without ever having to compromise on quality. 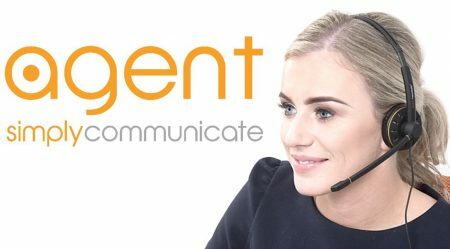 Businesses across the UK, Europe and worldwide are using Agent, it’s time you did too.